Abnormal protein aggregation/accumulation in the brain is a common feature of neurodegenerative diseases, particularly Alzheimer’s disease (AD), and defects in autophagy – a lysosome-dependent process of self-digestion of intracellular components including damaged organelles and aggregated/toxic proteins – are also evident in many neurodegenerative diseases including AD. 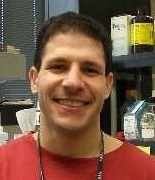 The current research of the Yang’s group, extended from earlier endeavors in studying abnormal protein aggregation, therefore, focuses on identifying impairments in the autophagic pathway, especially the late digestive stage within lysosomes, in cellular and mouse models of AD and on understanding how the impairments contribute to the abnormal protein aggregation/accumulation, with a goal to explore a new frontier in AD therapies based on modulating the autophagic-lysosomal system. Manipulating autophagic-lysosomal function of protein degradation in AD mouse models to rescue lysosomal and amyloid pathologies and cognitive deficits. Extensive autophagic-lysosomal pathology in the AD brain is believed to contribute to AD pathogenesis, but the underlying mechanisms are not well understood. Our recent studies have revealed that severe lysosomal pathology characterized by enlarged autolysosomes in an AD mouse model is associated with a defect in proteolytic clearance of neuronal autophagic substrates including Aβ, which is considered to account at least in part for the abnormal protein accumulation in the brain. Genetic enhancement of the autophagic-lysosomal proteolysis substantially ameliorates not only lysosomal pathology along with abnormally accumulated intralysosomal Aβ and ubiquitinated proteins, but also learning and memory deficits, underscoring the potential value of manipulating autophagy as a new strategy for therapeutic intervention in AD. Currently, other strategies towards restoring or enhancing autophagic-lysosomal proteolysis are under investigation. Identifying and reversing abnormal lipid storage in AD models. Dysfunction of lipid metabolism has been implicated in AD pathogenesis. Emerging evidence from AD models suggests abnormal storage of certain lipids associated with autophagic-lysosomal compartments, consistent with the recently identified role of autophagy in intracellular lipid clearance. Thus, we are interested in identifying autophagy-related lipid impairments in AD models, and particularly, possible interrelationships between abnormal protein and lipid accumulation (outlined in the Box below). The understanding of these interrelationships will also have relevance to lysosomal storage disorders such as Niemann-Pick type C disease.